Welcome to Sheikhy Notes, unique website that features, videos, notes given by traditional Muslim scholars. As well my posts/articles on particular subjects. Scroll down for various topics, scholars, links, quotes and monthly archives or use search engine to find posts. Please note that articles are copyright and cannot be copied without express permission. Allah Subhanu wa Ta’ala knows best. Est. 2005, ma sha Allah. There are lawyers who are gathering evidence for cases. They do not know when the case will be presented. Others see this lawyers as being busy with something unnecessary. Instead they are busy talking and immersing themselves in the luxuries and entertainments of this world; they are not concerned about the court case. Some of them doubt that the case will come to court and some of them deny it outright. The lawyers that are awake are busy preparing their cases. Ready for the time when they will present their case because they know once the day arrives they will not be able to ask for more time. They have to be ready at that moment and whatever they have prepared will have to be enough. They know that they cannot be foolish, in what they do. They have to check all the evidence, making sure that weaknesses have been made up for, all the dues are paid and the accounts are clear of wrongdoing. You see the judge is not just any judge; he is the Judge of judges. Who is this and what does it mean? It means that the lawyer is you and the Judge is Allah (Mighty and Majestic) and you are preparing your case to be presented to him. We should be busy preparing our case and be ready to present our case, which is our actions. When the time comes we cannot ask for more time because we have had enough time. We have been asleep thinking about other things and have not really been bothered about our case. We must be our own worst enemies because we want ourselves to suffer. Do you really want to suffer? So prepare for the afterlife with actions of devotion, pay off all your debts, make friends of old enemies and lighten the load of your sins so you can weight down the scales with righteous not evil actions. He heard the sound of the hoofs, a scream, something falling and then rolling. He completed his prayer and then turned to see a horseman wearing a turban and the highway man had been slain. The traveller asked the man on the horse with the turban, who are you? He said he one of the angels of the fourth heaven and when you recited the Quranic verse and supplication for the first time the gates of fourth heaven began to shake, when you recited it again the whole heaven began to shake, then when it was recited again. The angel asked Allah if he could respond and Allah gave him permission and that is why he came to help the traveller. Hence this dua is very powerful and we should all try to use it if we are in a difficult situation. All praise is for Allah, the giver of success, who gathered the hearts of the lovers, the ability to practice the prophetic way and the rulings of the Quran. The Opener who opens the insight of their eyesight, so they see the place of sublime in the battle of the veiled. The Inspirer who inspired bright proof through overwhelming evidence then affected it soundly. Called them with a tongue to the order of love, from the garden of affection, how can the lover sleep when he sees the beloved ones...?! To begin: may Allah blow on us a breeze of closeness; quench our and your thirst from beakers of his love. This is an explanation of our way and a proof for peoples’ realisation. Built upon ten directives that awaken those in slumber so they can establish these directives. Is a truthful intention that does not waver because he said (upon him peace and blessings), “The recompense for the intender is their intention.” (Muslim) intention means the determination of the heart. (To do or not do something). The definition of intention is the determination of the heart and truthfulness is completing an action or leaving an action for the Lord. In reality is it continuing on this natural effectiveness because one of the signs of an unchanged determination is that his resolve towards the goal is unswerving; remaining on his determination. As the action is for the Real (Allah) and this is the necessary truth so do not leave that which you have intended for the Creator. So do not incline to wheat, barley or to the pit of the date stone. Be satiated with pure things and do not desire the impermissible. Do not lower yourself to minor desires. A sign of a stranger is having less and using little and the opposite is being agreeable to much. Not questioning as he is under the shelter of the stranger. The sign of a traveller is his fast response and satisfaction with what came to him of comfort. And the sign of the dead is altruism to his religion as well as questioning, most of the time. Accepting the Real (Allah) totally and in conformity. Oppose yourself with patience upon separation, hardship; abandonment of whims, distancing (oneself from) passions, places and disagreements. Whoever goes back to him leaves the veil and enters the disclosure. Then he sleeps late; mingles isolation; is satisfied with hunger; his honour is low; his speech is silence and abundance is little. Weakness and lowness. Do not be lazy in the acts of obedience and refraining from striving. Rather be weak in all actions except those for the Real, the Generous. See the Creator through generous and respectful eyes; as some it is means to others; in reverence to the owner of the glory and honour. As the way of Allah (mighty and majestic) is if he desires something; it does not exceed by negating the means. When the Glorious desires to show you his greatness, more than others, the auspices of his order become clear. If you know that everything is under the control of Allah (mighty and majestic) and returns to him; then be grateful for it as it reached you from Him. So make your weakness in a corner and your habitation to him is with apology and do not conceive your ability as there is contention in ability. Fear and hope mean lack of tranquillity in the Majesty of excellence except according to the evident. So be good by showing generosity and excellence. Constant worship, this is either the right of the Real or the right of the servant. As the one without a constant action does not have a constant support. Be constant without suffering boredom; be not he who is absent in his actions and words. As the ego is excessive with this in public and in secret. Take into account the rights of the servant as good or occurs from them. He loves or abhors for them what he loves or abhors for himself of good or evil. Know that Allah (the exalted) is not satisfied if he likes that which Allah does not. So these are founding principles that castles are based, unlike any other castles. Base it upon large rocks; for the heads of the charges; cultivate your fields; sow seeds of happiness; plant in paradise remembrance; receive gardens of flowers and rivers; its bedding is red anemones of struggle; its bed gardens of enduring reality; in hope of reaping the field by scythes of endeavour; intended for the rich giving of a generous giver and Allah (the exalted) purifies and brings them forth. Indulge freely in the manifest and enjoin from what is shameful. He is the Generous, the Munificent and the merciful. Translated from Mujmua Ar-Risail Al-Imam Al-Ghazali. Printed by Maktabah At-Tawfiqqiyyah, Egypt, Cairo. Weekly online lectures translated into English. Please see link for the first lesson. This film is a little dated but contains some good information about the history of Islamic Spain. Also see links/labels for other posts on this subject. 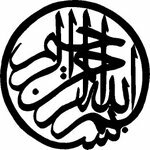 Who are the Ahl Al-Bayt? Abu Ahmed Ibn Muhammad Al-Kurdi asked (Sheikh Wali Raslan), "One day I saw him on the outskirts of Damascus, throwing pebbles, so I asked him to explain, and he said, "These are arrows, aimed at the Franks." (The Armies of the Crusaders) At that very point in time, the Franks had moved out toward the coast, pursued by an army of the Muslims. Shortly after that, people said, "We saw pebbles descending from the sky, raining down through the air upon the heads of the Franks." It even happened that a single pebble would strike a mounted knight, and he and his horse would both be destroyed, through the grace of the Sheikh (may Allah be well pleased with him). Labels: Imam Zaid Shakir, Who are the rightly guided scholars? There are over fifty titles to choose from. Buy the book by clicking the link on the picture! Abu Al Abbas Al Mursi said, "All the Prophets were created from mercy: however our Prophet (peace and blessings be upon him) is mercy itself." Please see link to our other blog which contains unpublished texts and books that have not been published on this blog. Most are free to download and all are free to read. Abu Hassan As-Shadhali said, "Love entails God's taking his servant's heart away from everything but him." The Prophet (Peace and blessings be upon him) said, "Whoever increases in knowledge and does not increase in guidance, only increases in distance from Allah." Jesus (upon him peace) said, "The world is a bridge, so pass over it to the next world , but do not try to build on it." Ibn Ata'llah said, "No one is a companion of yours except the one who knowing your defects, is your companion and that is only the generous Lord.” Hikam number 135. Imam Qusheri had a favourite student and people noticed that he liked him, others students became jealous. So he set all of his students a test, kill a bird but do it where nobody is watching. The students came back one by one with their birds killed except the favourite student. He said, “I couldn’t find any spot where no one was looking.” The other students stopped and realised why he liked him so much. 'Ubayd al-Kindi al-Kufi reported that he heard 'Ali ibn Abi Talib said, "The cursers are cursed." Islamic Village Podcast - Sheikh Atabek, Sheikh Haroon Hanif etc. Don't be angry at the waves of the sea, as there are several waiting to follow it up. Almost never ending but one day it will end. Muhammad ibn Ahmed Al-Buzaydi said, "Nothing prevents people from obtaining what they desire except their sincerity, so do understand." Salman Al-Farsi (May Allah be pleased with him) said, "If a slave abstains from the world, his heart becomes illuminated with wisdom and his limbs reciprocate in worship." Minhaj Al-abideen by Imam Ghazali. Al-Aqida at-Tahawiah by Imam Abu Jafr At-Atahawi. "Belief consists of: belief in Allah, His angels, His books, His messengers, the Last day and belief that the Decree both the good and the bad, the sweet and the bitter are all from Allah Ta'ala." Number 66. Abu Barza al-Aslami said, "I said, 'Messenger of Allah, show me an action by which I will enter the Garden!" He said, 'Remove harmful things from people's path.'" "Do not despair when in spite of intense supplication, there is a delay in receiving the expected gift. He has guaranteed that he will respond in what He chooses for you, and not what you choose for yourself, and at the time He chooses – not the time you desire." Is hell filled by women? Copyright Arfan Shah. Simple theme. Theme images by billnoll. Powered by Blogger.